Vio Rotar moved to the US in 2000 from his home in the Republic of Moldova, an Eastern European country located between Romania and Ukraine. It was in Moldova, as well as Romania and Russia, where he began to hone a passion for high quality craftsmanship. Vio is a third generation construction tradesman. His grandfather started this legacy, and it was Vio’s father who first taught him the ins-and-outs of masonry. Over the years, Vio expanded his skills and eventually earned his credentials as a general contractor. Today, he owns a few industry-related businesses, including East Tennessee’s Elegant Construction. Vio still works with his father and one of his brothers on the Knoxville-area homes he builds. Vio describes his favorite design as European cottage-style, thus many of his homes boast an old-world flair. No matter the style or size, it’s Vio’s goal in every home to incorporate traditional elements with custom features like tile work, crown molding, hardwood floors, and granite countertops. He pays distinct attention to detail and also integrates many energy efficient elements. Vio strongly believes in forging healthy, happy relationships with his clients. “Building a home is one of the largest investments most people ever make. It is a privilege to be a part of that process, so I see it as more than just a transaction. When I hand over the keys to a home built by Elegant Construction, my greatest desire is for the new homeowners to be satisfied,” said Vio. 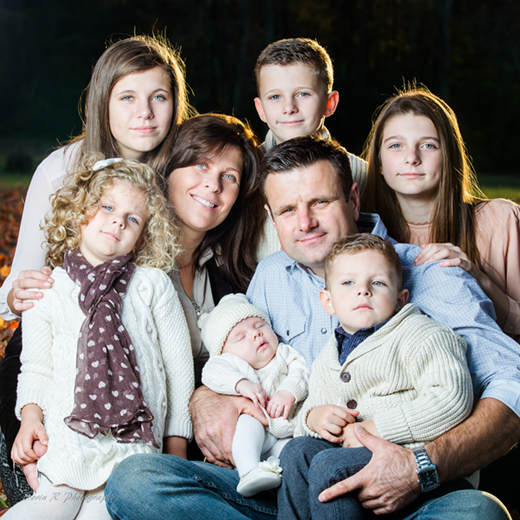 After 15 years of living in the US, Vio and his wife Elena are grateful to now hold American citizenship and call Knoxville home, where they happily reside with their six children.